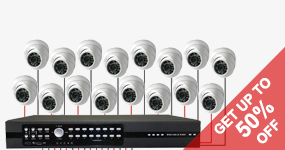 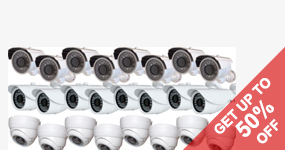 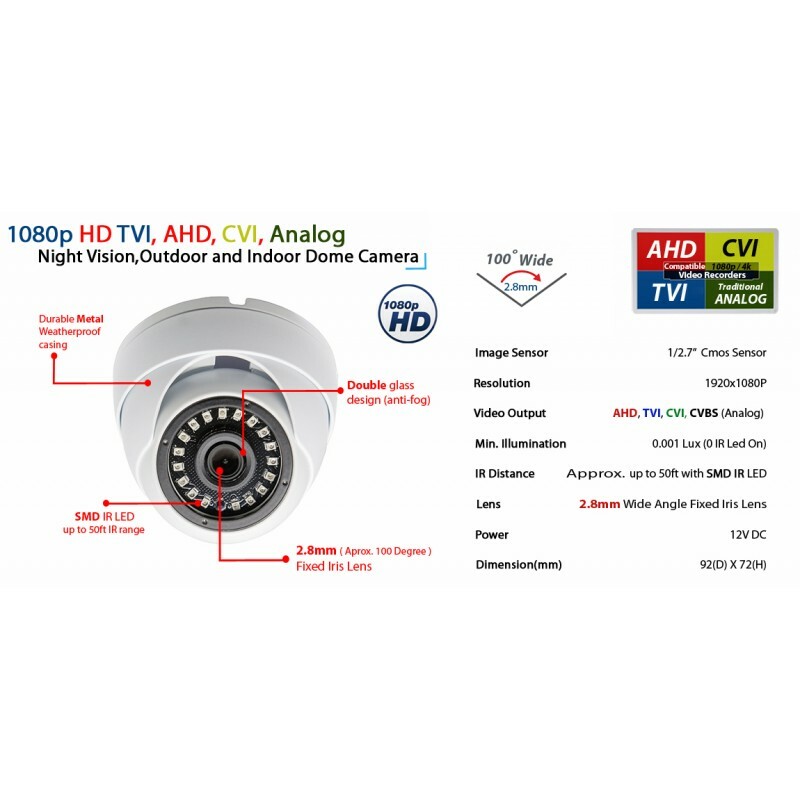 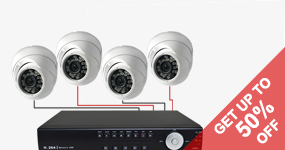 It is compatible with 1080p AHD/TVI/CVI/Analog Digital Video Recorders. 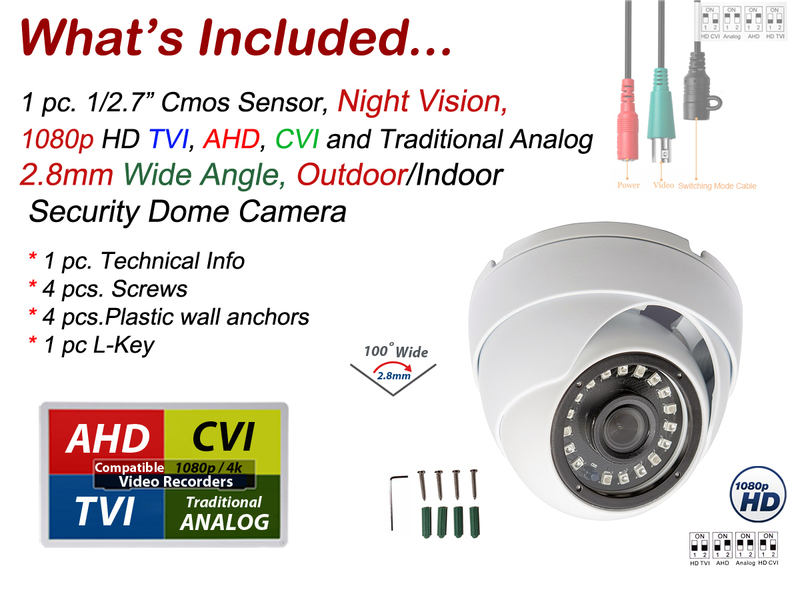 Factory Default Video Mode is AHD. 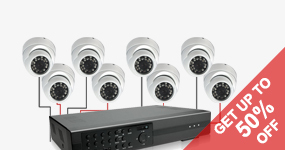 Video mode must be switched according your DVR type. 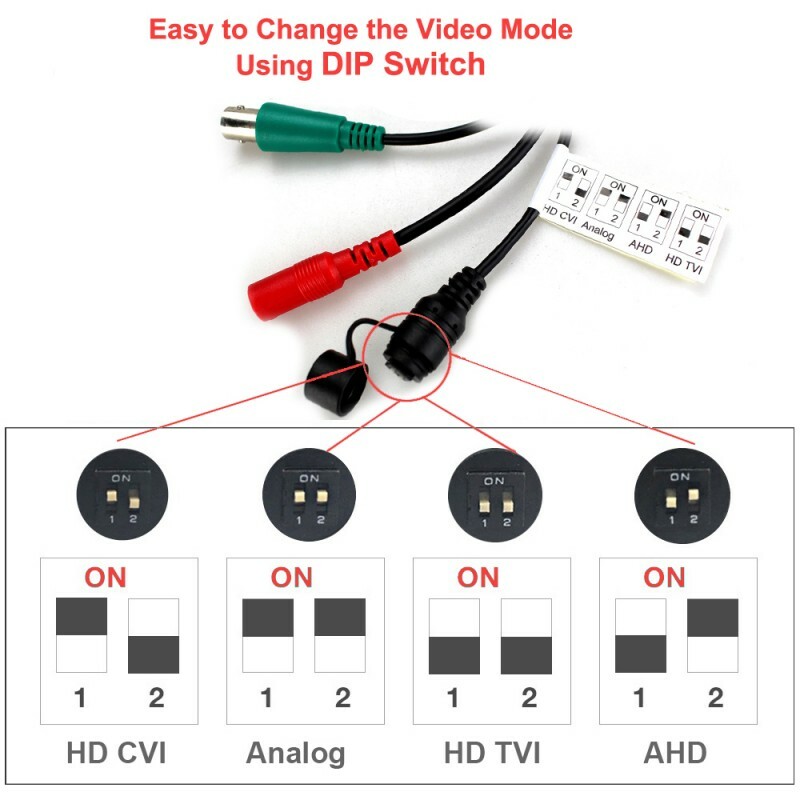 It is very easy to do with DIP switch. 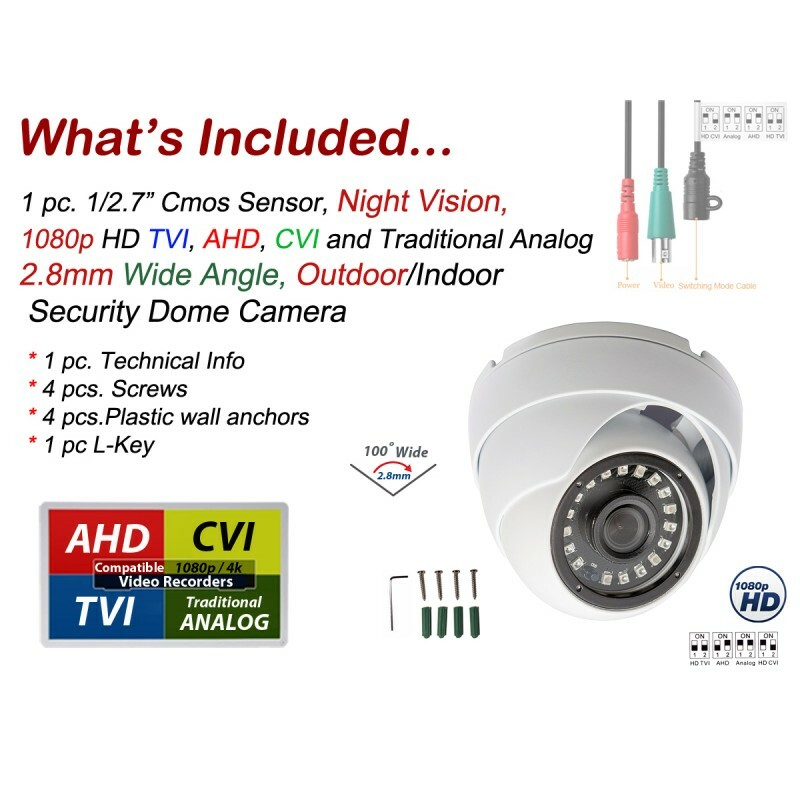 2.8mm Wide Angle Fixed Iris Lens provides approximately 100 degree angle of view. 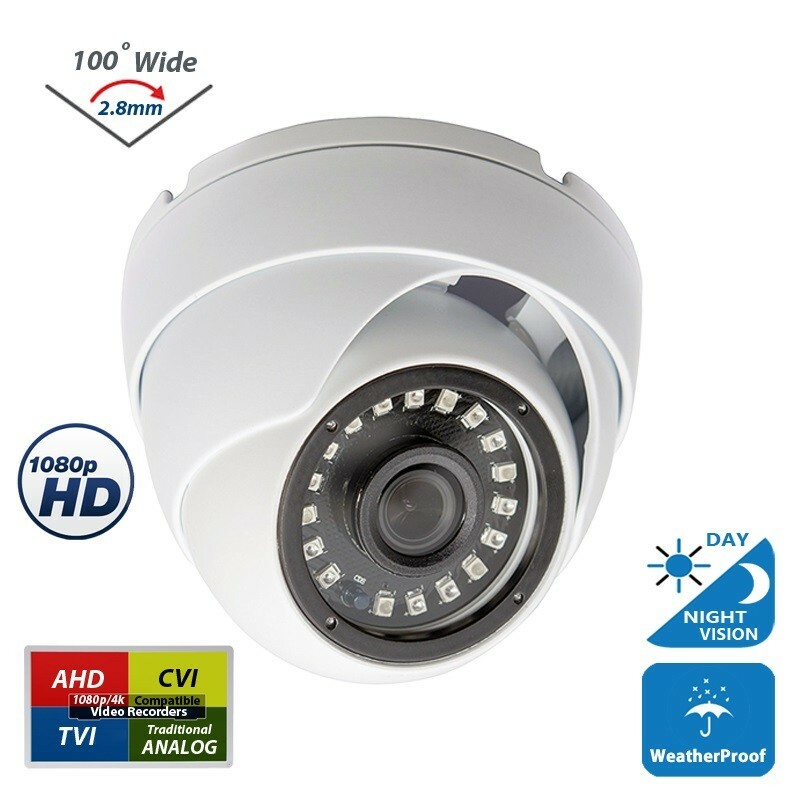 Powerful new style SMD IR LED for up to 50ft night vision.